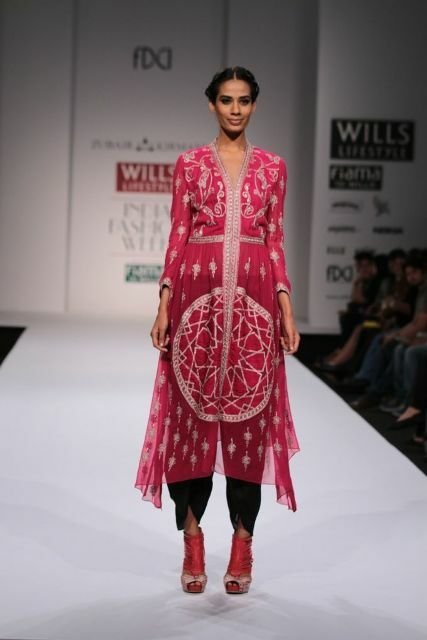 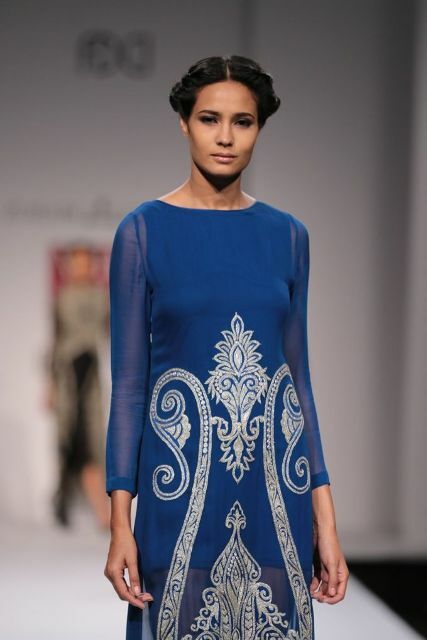 Zubair’s collection was one of escape and romance and a celebration of traditional Kashmiri embroidery techniques with the work produced in Kashmir itself for added authenticity. 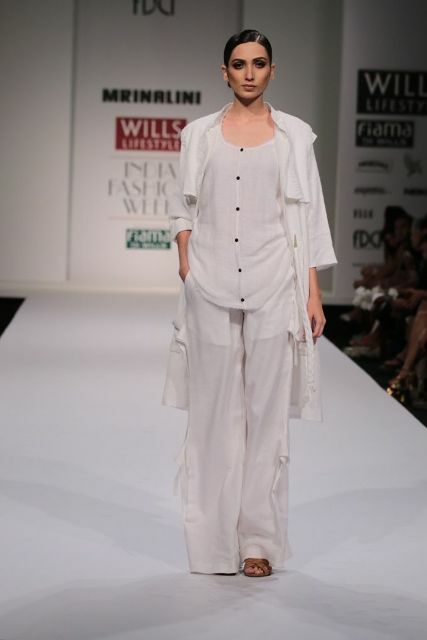 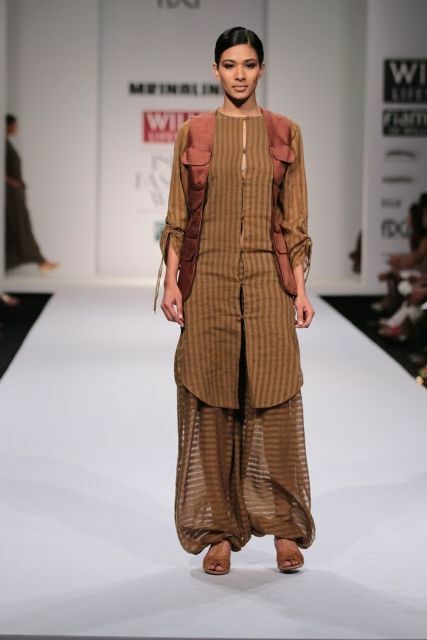 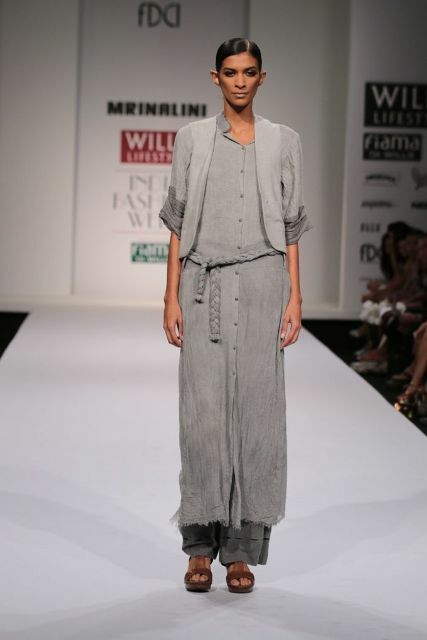 A newer designer, Mrilnalini’s collection was inspired by Kashmir’s former serenity and the collection strived to make a political reference to bandaging old, angry scars but with an aim of hope and spirituality. 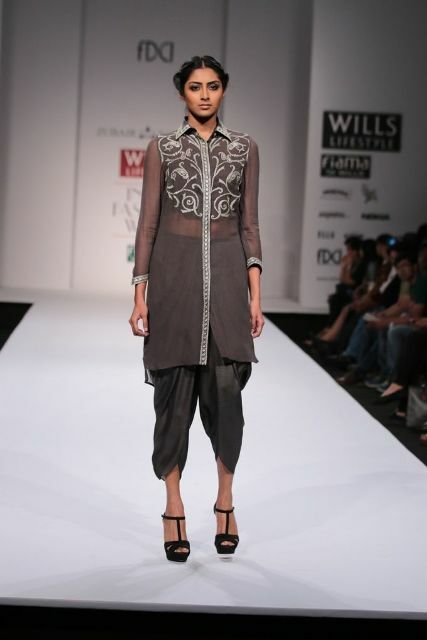 Military inspired looks gave way to those inspired by Sufism.